There's a scene in Terence Davies' film The Deep Blue Sea in which the romantically inclined Hester is confronted by her no-nonsense landlady, who takes a break from caring for her invalid husband to educate the younger woman on the real meaning of love. "A lot of rubbish is talked about love," she tells Hester. “You know what real love is? It’s wiping someone’s arse, or changing the sheets when they’ve wet themselves, and letting them keep their dignity so you can both go on.” I was reminded of that moment as I watched Michael Haneke's Amour, in which an elderly couple fight against the ravages of age and illness. The title may seem a strange one for a Michael Haneke film to possess, but it is entirely appropriate. 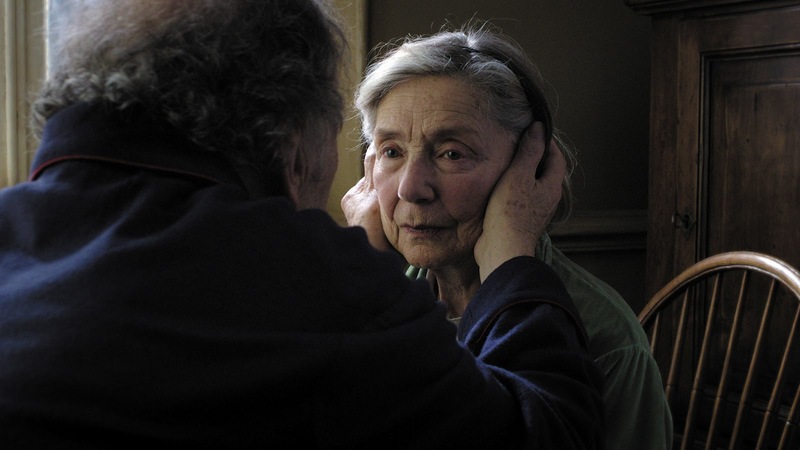 Amour is one of the purest and most devastating portraits of love that I have ever seen in the cinema. It is moving precisely because it deals with the infirmities and indignities that so often afflict the elderly. This is something we have all witnessed or experienced in our own lives, but the depiction of this universal condition on screen is so rare that Michael Haneke's film almost feels revolutionary. There's nothing particularly special about the couple played by Emmanuelle Riva and Jean-Louis Trintignant, who are named, like every couple in this director's films, Anne and Georges. When we first see them they are just two faces in the crowd, part of an audience engrossed in a classical music performance. They return home to the apartment in which we will spend the next two hours, and they are in high spirits, hardly perturbed by the damaged lock on their front door from a failed break-in. That damaged lock is an early indicator of this couple's vulnerability, later underscored by a chillingly effective nightmare sequence which is superbly orchestrated by Haneke. Such jolting moments are rare, though, as Amour instead observes the slow and gradual deterioration of a person's body. When Anne suffers a stroke as the couple enjoy breakfast, this seismic turn of events is dealt with so quietly, as Georges struggling to come to terms with the sudden change in his wife and Anne initially seems oblivious to what has occurred. After this point, with his wife confined to a wheelchair, Georges does all he can to care for her while she insists that there is no need for such fuss, determined to retain some independence; but they must soon bow to the inevitable. "Things will go downhill, and then it will all be over," Georges bluntly states. 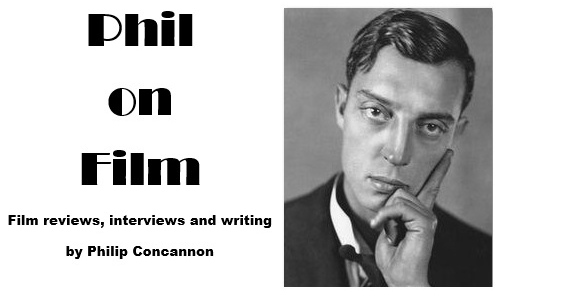 Amour is essentially a two-character film, although other figures arrive from time to time. Isabelle Huppert plays the couple's daughter Eva, William Shimell is her husband, Alexandre Tharaud is a former student, a few nurses come and go, and a couple downstairs awkwardly offer to help Georges in whatever way they can. But to Georges, nobody else seems to exist. He closes ranks around his ailing wife and devotes himself to her care. Trintignant and Riva make us believe in these people and in the relationship that has sustained them for decades; a relationship built upon a shared intelligence, humour and love of music. It's unbearable to see all of that slip away as it does here. Trintignant remains so resolute in his determination to relieve his wife's suffering, recounting stories from his youth that he somehow never shared with her, and snapping at anyone who he feels infringing on their remaining time together. Riva undergoes an astonishing physical transformation during the course of the film, and it is heartbreaking to see her lying immobile, her delightful smile turned into a grimace, and only capable of uttering a single moan: "Hurts..."
All of this unfolds under the unflinching gaze of Darius Khondji's camera, as Haneke's flawless compositions capture Georges and Anne's difficulties in a typically clinical manner. Of course, we are used to Michael Haneke films being tough to watch, but there's something markedly different about this picture that we haven't seen in his work before. Amour contains a number of scenes that are moving in the most delicate way – Georges remembering a time when his wife would play music for him, or stroking her hand to ease her cries of pain – and even the symbolic pigeon that flies into their apartment is dealt with in a more tender fashion than I could have ever anticipated. Amour has been made with all of the intelligence and rigour that we have come to expect from Michael Haneke, but the depth of compassion on display is a new element, and it is that welcome addition to this director's formidable arsenal that makes his latest film a masterpiece.